Andrew Washington Turner, a subject of previous posts (Andrew Washington Turner and Phoebe Isabelle Sirmans, Ray City News, Jan 3, 1929 ~ M.G. Melton Buys A. Turner Brick Bldgs. ), was born January 1, 1867 in Dublin, GA. He was the son of Adeline Rebecca Black Reddick and Jesse Turner. His mother had been previously married to Captain Daniel Reddick, who was a sea captain engaged in trade along coastal Georgia. Andrew had two half-siblings who were fathered by Captain Reddick; Susan Reddick and William D. Reddick. At age 4, Andrew appeared with his family in the 1870 census of Militia District 344, Laurens, Georgia. His father was a farmer there with $500 in real estate and personal estate valued at $450. Andrew’s half-brother, enumerated as William D. R. Turner, worked as a farm laborer. Also in the household was Andrew’s older sister, Henrietta (age 6). Andrew’s father, Jesse Turner, died some time prior to 1880. The 1880 US Census shows Andrew Turner, living with his twice-widowed mother, half-sister Susan (Henrietta ? ), and sister Mary Reddick. They were then living in Berrien County, GA Militia District 1144, in the vicinity of Rays Mill. Andrew, then age 14, “works on the farm,” the census noted. It was in Berrien County, GA that Andrew W. Turner was married to Phoebe Isabelle Sirmans on March 27, 1892. She was born June 1, 1867, a daughter of Frances Sutton and Abner Sirmans. On February 24, 1893, Andrew Turner and his wife bought land from her father, Abner Sirmans. On this land, situated in the Rays Mill community (later Ray City, Georgia), the newlyweds made their home. In 1900, the census shows Rebecca Turner living with her son Andrew W. Turner and family in Rays Mill, Berrien, GA and notes that Rebecca was blind. 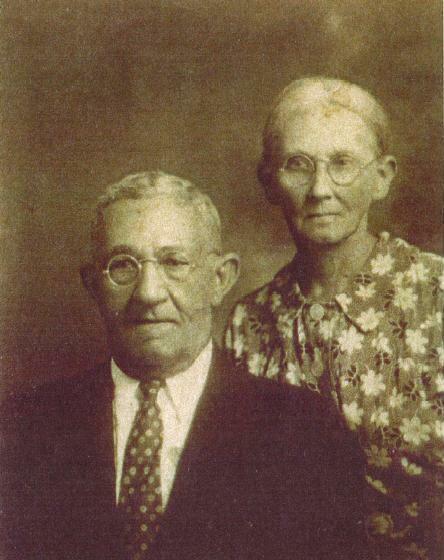 Andrew and Phoebe Isabella Turner were among the first members of the Ray City Methodist Church, which was organized on October 29, 1910. Other organizing members were Mr. and Mrs. Will Clements, Mr. and Mrs. W.F. Luckie, Will Terry, Mrs. Julia Dudley, Annie Lee Dudley, and Marie Dudley. In 1910 Andrew Turner was working on his own account as a farmer. Mrs. Turner’s widower father, Abner Sirmans, was living with the Turner family in Ray City, but had his own income. Lona Belle Turner (3/30/1893 – 5/10/1926) married Edward Holmes Sumner 10/28/1909 in Berrien County, GA, buried at Bethel Baptist Church Cemetery, Polk County, Florida. Rosa B. Turner (9/22/1894-9/23/1985) married Aubrey B. Shaw on 9/13/1914 ceremony performed by Lyman Franklin Giddens, Justice of the Peace, Ray City, GA. Rosa Turner is buried at Sunset Hill Cemetery, Valdosta, GA.
Minnie Turner (7/5/1896 – 12/2/1987) married George I. Sumner on 12/22/1915, buried at Friendship Church Cemetery, Lowndes County, GA.
Maggie Turner (12/25/1898 – 9/20/1980) married Burie Webster Clements on 5/5/1920, buried at Lakeland Memorial Gardens, Polk County, FL. Jesse Abner Turner (7/14/1900 – 10/3/1969) married Maude D. Yarbrough on 1/3/1920, buried at Friendship Church Cemetery, Lowndes County, GA.
John S. Turner (8/25/1903 – 7/23/ 1984) married Florrie Olena Reynolds on 5/1/1927, buried at Riverside Cemetery, Macon, GA.
Mittie Mae Turner (1/5/1907 – 10/23/1968) married F.H. “Mac” McColm, buried at Southern Memorial Park, Dade County, FL. Essie Turner (9/12/1909 – 2/11/1990) married 1) James Nathaniel Hall, 2) Tasca Luther Cole. Buried at Sunset Hill Cemetery, Valdosta, GA.
William Theodore Turner (3/3/1911 – 9/10/1952) Never married. Buried at Sunset Hill Cemetery, Valdosta, GA. The Turners made Ray City, GA their home through the 1920s. The Census of 1920 gives Andrew’s occupation as “Cotton buyer” working on his own account. His son, Jesse Turner, was working as a drayman, for public work. The family residence was located on North Street in Ray City, next to the homes of Levi J. Clements and Lucius J. Clements, operators of the Clements Sawmill. Andrew Turner was also engaged in the in naval stores and the mercantile business. Milltown, Ga., January 10. – (Special.) – At the election for the town officers at Ray City. Tuesday, the following were elected: Mayor, L.F. Giddens: councilmen. J.T. Phillips, A.W. Turner, J.S. Clements, Jr., and J.A. Griffin. They were installed immediately. During the town’s boom period he constructed ”two large brick buildings known as the Andrew Turner Buildings. One of the buildings is two stories high.” In 1929, the Ray City News reported that this building was sold to M. G. Melton. Sometime between 1922 and 1929 Andrew Turner purchased a farm situated between Hahira and Valdosta, GA and the family made this their home. Around this same time period, he suffered a stroke which resulted in paralysis of his left side and impaired his speech. He recovered use of his left leg sufficiently that he could walk with a cane, but his left arm remained paralyzed. Andrew’s son, Jesse, had married by this time but made his home near his father’s and ran the family farm. Census records show that by 1930 the Turner family had relocated to Valdosta, GA to a home on Valley Street. Andrew Turner rented the house for $20 a month: Jesse Turner and his family apparently had an apartment in the same residence. Andrew’s daughter, Mittie, was working in a department store; Jesse was working as an automobile mechanic. Andrew Washington Turner died 1936. Funeral services for A. W. Turner, 69, well known resident of this county, who died at a local hospital last night as the result of a stroke of paralysis, will be held this afternoon at 6 oclock at Sunset Hill. The body was taken this morning from Sineath’s to the home of Mrs. A.B. Shaw, a daughter who resides at 305 West Gordon Street. Rev. L.H. Griffis, pastor of the Church of God, and Rev. C.M. Meeks, pastor of the First Methodist Church, will conduct the services. Survivors are his wife and the following children: Mrs. A.B. Shaw and Miss Essie Turner, of this city; Mrs. G.I. Sumner, J.A. Turner and Theo Turner, of Hahira; J.S. Turner, of Porterdale; Miss Mittie Turner, of Miami; and Mrs. B.W. Clements, of Ft. Pierce. A sister, Mrs. Mary Johnson, of Macon, also survives. Mr. Turner was for a number of years a merchant and cotton buyer in Ray City, but he had made his home in Hahira for a number of years before his death. For the past two years he had been in ill health. His death is the occasion of much genuine sorrow throughout this section. Mr. and Mrs. P.N. Sirmans, Mr. and Mrs. Burns Sirmans, of Ray City, Mr. and Mrs. Terrel Sirmans, and Mrs. Levi Sirmans of Nashville, were here yesterday to attend the funeral of Mr. A.W. Turner. Phoebe Isabelle Sirmans Turner died in 1948. Mrs. A.W. Turner, 81, passed away at the home of her daughter, Mrs. A.B. Shaw, 401, N. Troupe Street, early Sunday morning after a declining illness of several months. She had made her home in Valdosta for about five years, moving here from Ray City. Mrs. Turner was born and reared in Berrien County. She was a member of the Lee Street Church of God. Survivors include five daughters, Mrs. A.B. Shaw and Mrs. J.N. Hall, Valdosta; Mrs. B.W. Clements, Mulberry, Fla.; Mrs. G.I. Sumner, Hahira, and Mrs. F.H. McCullum, Miami, Fla.; three sons John Turner, Columbus, Ga.; J.A. and Theo Turner, Hahira; two sisters, Mrs. Leona Douglas, Ocala, Fla.; and Mrs. Kitty Turner, of Ray City, Ga. Also surviving are a number of grandchildren and great grandchildren. Funeral services were to be held this afternoon at 3 o’clock, at the Carson McLane Funeral Home. Interment was to follow in the family plot in Sunset Hill beside her husband, who passed away several years ago. Ray City News, Jan 3, 1929 ~ M.G. Melton Buys A. Turner Brick Bldgs.